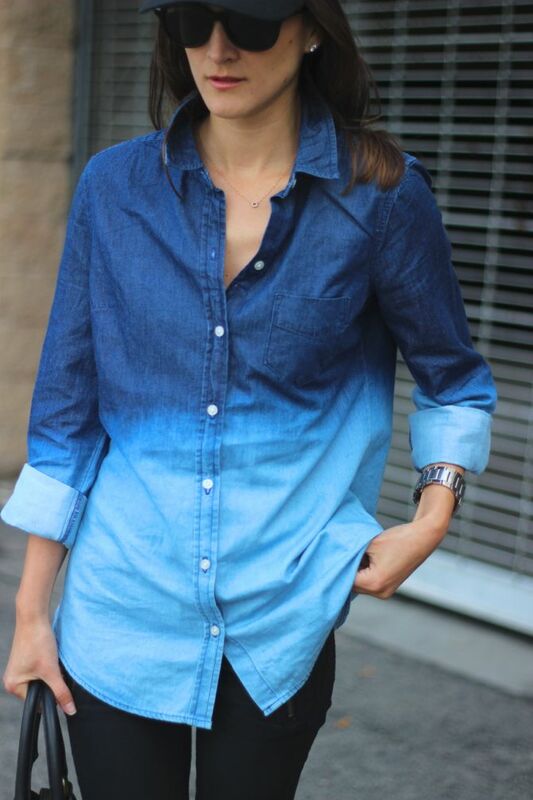 sneaks, and a comfy chambray shirt! I do like the hat & shirt combo! 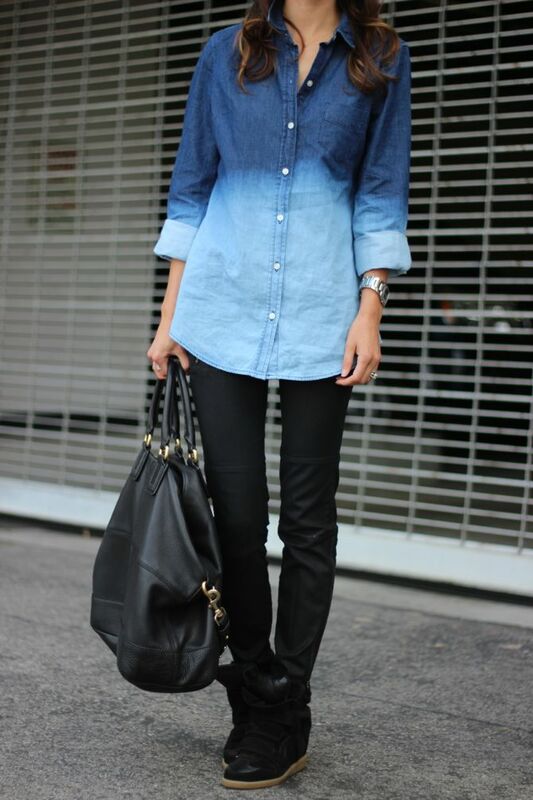 loving the look here, especially the sneaks! Cool shirt, Nicole! Makes me want to do a diy project!! always my go to on a gloomy day. 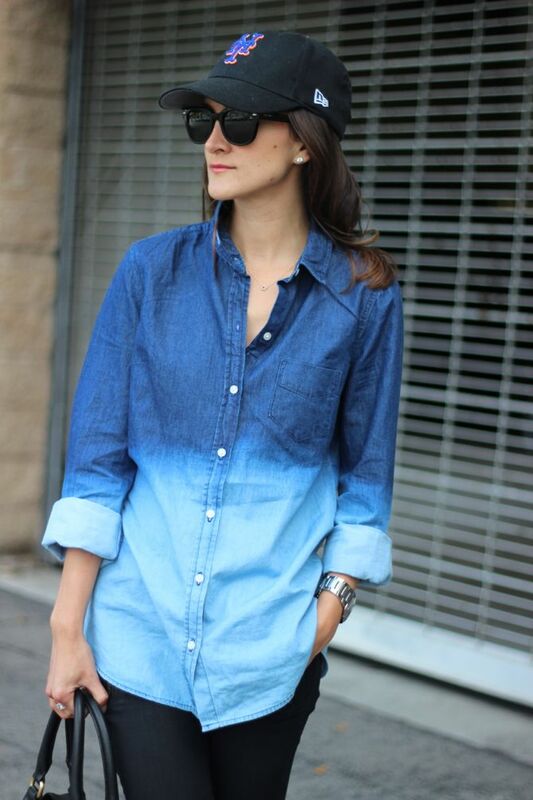 Those chambray shirts are just too good! love this!! Especially with the cap! you can pull off seriously anything!! That's my girl representing for the NY! ;) Love it!! And the whole outfit. Wasn't sure how I felt about the dip dye trend.. but you have me re-thinking it. I love the way you pull this off. Gorgeous!